The largest & most ''spa like'' Master Bath in all of Ocean Edge! Beds: 1 king, 1 queen, 3 twins, Pack 'n Play available. Our Eaton Village 2nd floor condo has been beautifully renovated from top to bottom - literally. Ours is NOT the typical Ocean Edge condo...This open floor plan condo with state of the art amenities has a 16 foot cathedral ceiling, giving you a sense of spaciousness, and the upscale furnishings give you a sense of warmth and luxury at the same time. Our contractor installed: A brand new gorgeous kitchen with beautiful Granite countertops, 2 Brand New bathrooms with premium fixtures and beautiful tiling (the master bathroom is oversized with a 48 inch vanity! ), 18 recessed lights throughout, new solid cherry hardwood floors, new carpeting, AC in the Master Bedroom AND in the Living Room. We have had professionally wired: 3 (yes, 3) LCD flat-screen TVs, PlayStation 3 and WiFi. The TV in the living room is nothing short of amazing! It is a 55'' LCD on a full motion wallmount. This TV can be viewed from the LR, the Dining area AND the kitchen! Great for Red Sox &...Yankee games! We have a Playstation 3 for gaming AND because it is also a Blu Ray player, we even have a selection of about 20 DVD's for your use. 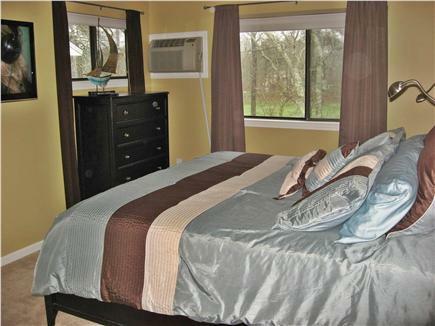 The Master Bedroom has a fabulous 40'' LCD TV, AC, two windows with block-out curtains and its own luxurious bathroom. The linens are hotel quality and the room feels like an oasis. The 2nd bedroom has a 32'' LCD TV with a built-in DVD player. We designed our condo so that you will have beautiful & comfortable space, and with lots of options, everyone will be able to entertain themselves. We have a BRAND NEW very large gas grill and a beautiful patio set for your use and enjoyment . We have some sand toys, 4 sand chairs and even a Pack-n-Play! Have your little ones check out our box of kid's books and a few games in the storage box under their bed. This means==Less things for you to pack and haul! For your convenience we have a full size Maytag Neptune Washer & Dryer (Detergent & Bounce sheets included!) This is a SMOKE FREE UNIT. No smoking has ever been done in the unit and we plan to keep it this way. Smoking is not allowed. Pets are not allowed...sorry FIDO. Before buying our condo we rented at Ocean Edge for 10 years - We know what's important to renters because we've been in your shoes. (We used to bring blankets just to cover the rental's couches!) Believe us, this is the condo of your dreams. And, we are renting at the same price as other condos which don't offer our upgrades and new ''everything''! You can be part of a small group of renters who will relax and refresh in our new home at Ocean Edge. Our past renters have enjoyed themselves thoroughly--We have 20 FANTASTIC reviews and we take great pride in each and every one of them! Please be sure to read them all. Stay with us one time and we are convinced you'll renew again and again! Ocean Edge Resort is a beautiful, large Resort community. As we have a ''Swim and Sport Membership'', POOL PASSES are available for an additional fee of $55 per Adult, $25 per child, per week. Just let me know if you would like them and I can have them waiting for you at the Golf Clubhouse on the Saturday of your check-in, where you will pay for them directly. These passes allow access to Ocean Edge's (2) Fitness Centers, Tennis Facilities, 6 Gorgeous 5 Star Resort Level pools-(2) Indoor & (4) Outdoor pools, offering hot tubs, snack shacks, pool bar and Complimentary towel service. One of the questions we ask when you send back your signed lease will be...''Which would you prefer waiting for you as you arrive-A bottle of white or red?''... as our gift. We welcome all inquiries. Long-Term Rental (1 month or more): Contact us for long-term off season rentals...We'd be happy to discuss and negotiate a great price for you! We’ve been renting this condo for seven years going on eight! Wonderful memories we’ve made over the years. Our boys look forward to their week on the Cape every summer! Yet another spectacular weekend at this Ocean Edge condo. Nancy is friendly, welcoming and accommodating - especially for a last minute reservation for a surprise birthday getaway for my husband, with our 2 children. This was our fourth time at Ocean Edge, but the first time renting this beautiful condo. 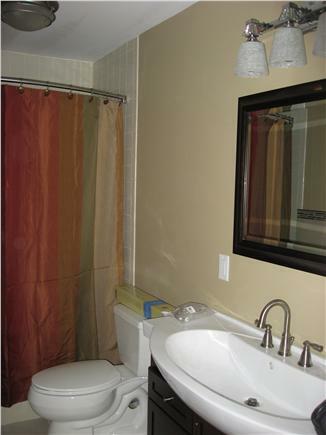 The condo was meticulously clean, comfortable, in a great location in the Villages. Nancy was really informative & nice to work with. We had a wonderful time and plan on returning this coming summer. Nancy gives her own personal touch and left a lovely bottle of sangria and sent a gift from Cape Cod prior to our arrival. I highly recommend renting from Nancy! Nancy, Brian and Family - we truly lucked out this year searching for a vacation at Ocean Edge when we can across your rental. From our first interactions with Nancy, she was warm, friendly and organized. I was so surprised when we received a gift in the mail along with our rental contract. What a treat!! 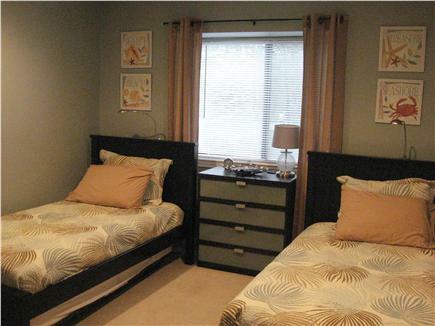 The condo is immaculate and perfect for a family with two children. The beds were comfy, great updated bathrooms and perfect modern decor. The weather was absolutely gorgeous which topped off the week! I had the unexpected pleasure of meeting Nancy during our stay and she was so sweet. I'm hoping to return for a girls weekend before next summer. Thank you for making your home such a pleasant place to vacation. This was my first time staying at Ocean Edge and Brewster. I'm glad I chose to do so. The condo was clean and perfectly furnished. All the necessities to get you through the week. You have the best of both worlds. You can choose the resort features or just venture out on your own. I hope to stay again next year. Definitely an enjoyable week. We were the first family to rent this unit when it it first became available. We're going on our 6th summer renting this unit and it still looks like it did when it was brand new! Meticulous attention is paid to every detail all the way down to the free sangria when you check in!! Clearly everyone who rents this unit knows that no expense was spared in making it a spectacular home away from home and everyone treats it accordingly. We have been renting various units throughout Ocean Edge for the past ten years. This unit is the best one we have ever stayed at. The location is central to the overall property, yet it is also in a quiet area. The back deck overlooks a wooded area running parallel to the golf course, which makes for privacy and songbirds. The inside is very clean, modern, and well equipped. Nancy was friendly and easy to work with. Overall, an excellent experience that I hope to repeat several times! The condo is beautifully furnished, fully equipped, great kitchen, convenient to the beaches and neighboring towns.......couldn't ask for more! The owner, Nancy, was very responsive and very concerned that we had everything we needed. We certainly hope to return in the future. We stayed at many Ocean Edge rentals, but this one is by far the best. Everything is ready for use in the condo, and they have all the details in mind (even small step stool for children to reach the sink). Our kids also love playing the board games and reading the children's books. All of these made packing for the trip much easier for families with young kids. Amenities and supplies are fresh and updated, linens (even with extra sets) were clean, and the beds were actually comfortable. No old mattress or eating utensils that some owners dump at their rentals after using them for many years. There are so many outdoor activities that you can do around Ocean Edge, and having a washer and dryer inside the condo was a huge plus. Nancy & Brian rented units at Ocean Edge for about 10 years before purchasing their own 2 bd/ 2 bath condo in Eaton Village, their favorite housing community at Ocean Edge. The unit was in awful condition when they bought it and needed a complete overhaul. With many of different wheels in motion, 6 months later 174 Eaton was ready for it's first rental season and they have been welcoming many of the same families back, year after year. Every aspect of the total renovation was done with an eye for luxurious details. Read the reviews and make the call to reserve your summer week now, before they're totally booked (always by April!) and your opportunity to rest and relax in this upscale summer home is gone! 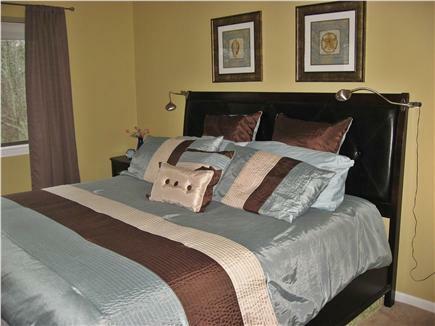 One of very few housing options offering a KING SIZED bed in the Master bedroom. Oversized vanity in the Master Bath. Granite counters in the fully equipped (think Chef's style) kitchen. 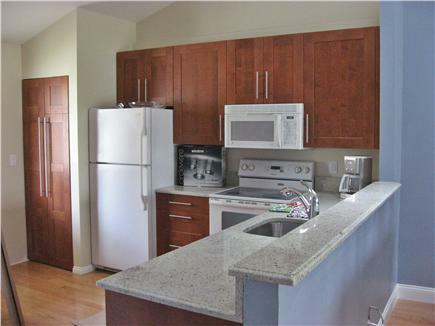 3 over sized, wall mounted TV's in this 2 bedroom condo! Complete and reliable internet connectivity. Proactive, responsive owner- Your relationship begins with the surprise ''gift'' sent with lease! Ocean Edge Resort offers everything desired for a fabulous Cape vacation! Brewster is a great town and it's proximity to Orleans is fabulous. Ocean Edge is directly on the Cape Cod Rail Trail for great biking!